I’ve seen lots of funky Rubik’s Cube variants over the years, but this is definitely one of the more unusual ones I’ve come across. Instead of a simple 3x3x3 (or larger) grid of cube faces, this oddball has different size faces to really keep you on your toes. This cube has one regular thickness layer, but then all the other faces are super skinny, creating many more permutations as you rotate each layer, never mind the off-kilter handling that you’re bound to encounter with a puzzle shaped like this. 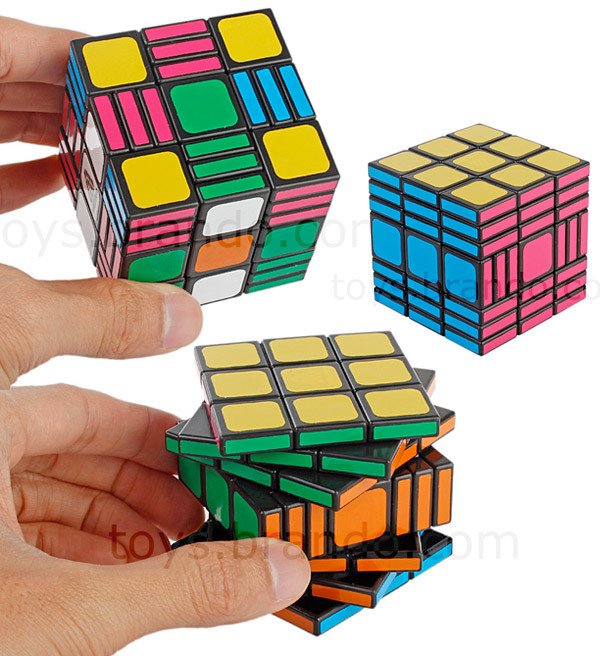 You can choose from a 3x3x9 variant, or the slightly simpler 3x3x7 version, if you’re intimidated by the more complex cube. Despite their looks, there’s apparently a “New Playing Method” which can be used to quickly solve these too. And no, these aren’t official “Rubik’s” brand cubes – they’re simply listed as “IQ Brick Cubes,” but you get the point. 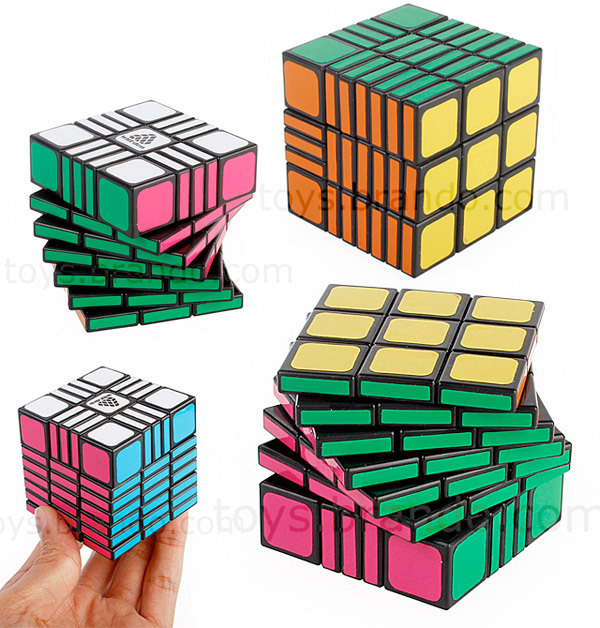 You can get the 3x3x9 or the 3x3x7 over at Brando for $26.90 (USD) each.